When we think of video marketing, we typically think of the video content itself. But that is only part of the picture – pun intended. What about who the video content is meant for? Where should it be hosted? What publishing platform, or touchpoint, should it be formatted for? These are all factors in your video marketing strategy. And they are things your video marketing platform should solve. Unless you’re in the advertising business, you’re not likely thinking about your video marketing platform – where your videos are hosted, how they are distributed, and everything else going on behind the scenes. In this video, you get a glimpse of my conversation with Flick Fusion COO Tim James. His company provides one of the most robust video marketing platforms in the automotive industry. Benefitted not only by automotive retailers, but also automotive ad agencies and tech companies as well, which use Flick’s platform to host, stream, and distribute video content for their dealers, with precision and scalability. Scalability and utilizing the data are two things you will hear Tim speak of often when you talk with him about the benefits of such a robust video marketing platform. 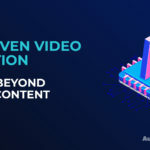 Not necessarily in the mini-webinar featured in this post, but it the complete conversation featured in the podcast: Going Beyond Video Content: AI-Driven Content Creation. What makes a video marketing platform like Flick Fusion so niche to automotive are its integration capabilities. For one, the platform supports videos for vehicle inventory. This is a deeply unique capability not seen on your average or mainstream video marketing platforms. Flick also supports the ability to interface with automotive CRMs, another family of software specific to car dealers. In the early days of the Internet, online streaming video and distribution were more difficult to leverage at scale, but not today. Comparing video platforms of today to those only a few years ago is like comparing today’s smartphones to the flip phones of yesteryear where you had to press the 2 button 3 times to text the letter C.
What are the advantages of video marketing platform? James hones in on a platform’s greatest advantage – the data. If you can have the versatility and flexibility of a digital marketing platform but with the proven effectiveness of video, why wouldn’t you jump on that? 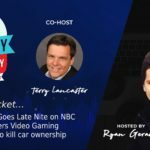 Fears about the difficulty in creating and making the most out of video is what keeps many business owners (and car dealers) from maximizing their efforts with video. Maybe you had a video marketing strategy a few years ago and had a bad experience, or couldn’t justify the ROI. Maybe you think your website or business or dealership isn’t one that would benefit from video. Or maybe you’re interested but you don’t know where to begin. Tim cuts through the worry and trepidation by drawing back to something that has always been true when it comes to marketing. The personalization capabilities available with today’s AI (Artificial Intelligence) are far reaching. We see AI in the consumer marketplace almost everywhere. 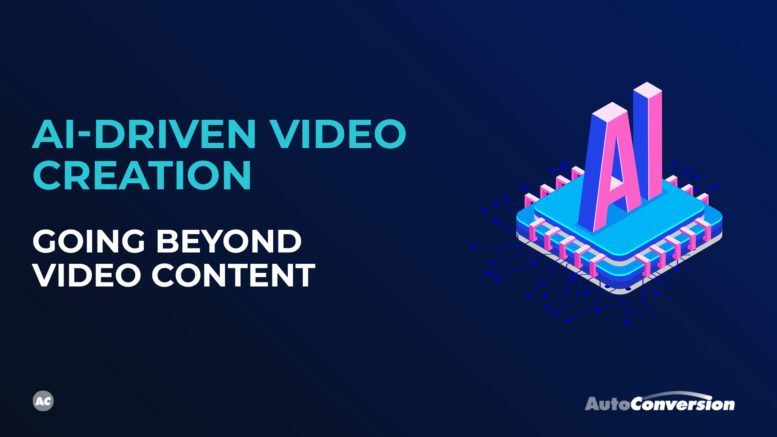 In fact, you’ve probably even viewed video content that was produced or at least partially generated by AI. 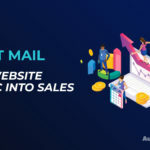 As technology has evolved, marketing messages have become increasingly vague in order to appeal to a broader audience across more platforms. While this distributes the message, it waters the message down in the process. 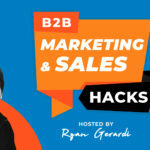 As a result, people will feel less of a connection with businesses simply pushing out their standard spiel. 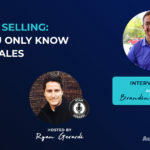 This is where video marketing essentially comes full circle, and back to the personalized one-on-one focus that sales was rooted in. Integrating your video marketing platform with today’s AI capabilities allows businesses to go back to connecting and engaging with customers based on their behaviors and preferences. Imagine being able to change your pitch, tweak that video, or alter the message to be more appealing and engaging with Person A, and then switch it all up for Person B? While this may seem far-fetched, it’s already happening. At the same time, AI also helps determine which platforms and touchpoints work best for your video content, and timing as well. Subtle and not-so-subtle differences in YouTube, Facebook, Instagram and LinkedIn can all affect the type of video content you see and share. 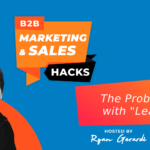 The video featured in this post is a preview of my conversation with Tim James in February 2019 as part of the Video Marketing Hacks for Auto Retailers recurring webcast series. The series is brought to you by Flick Fusion but it doesn’t always feature James or Flick Fusion. You can catch the complete conversation in the podcast featured in this post, or you can watch the full video replay on YouTube.